Noteworthy: This method is successfully applied to ALCATEL fig 3 (6045), Android 6.0. Step: Connect to WiFi in your Alcatel device. Step: Tap “Add Network”, and type a text into the SSD field, E, G “Tecaliable”. Step: Tap on your typed texts so that (Cut, Copy, Share, Assistant) options appear there. 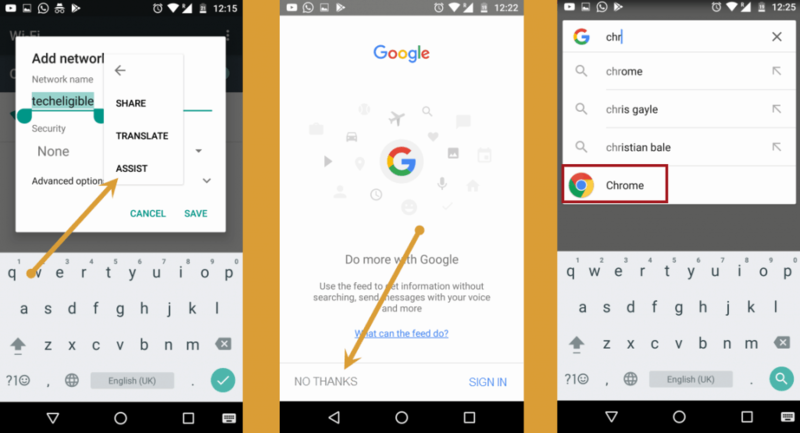 Tap “Assistant”, Google will Now, open, tap “No thanks”, then type the search bar in Chrome, then tap “Chrome icon” to open it. Step: Tap “Accept and Continue”. Step: Then type “BypassFRPApplications and Files Pangu”. Step: Now, Tap is the most relevant result from Google search engine. Step: you’ll be redirected to the Pangu.in website, from which you’ll have to download the APK files. 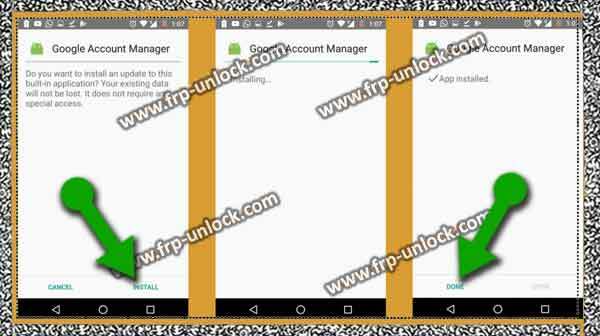 Step: The first download “Google Account Manager 6.0″ according to your Android version. 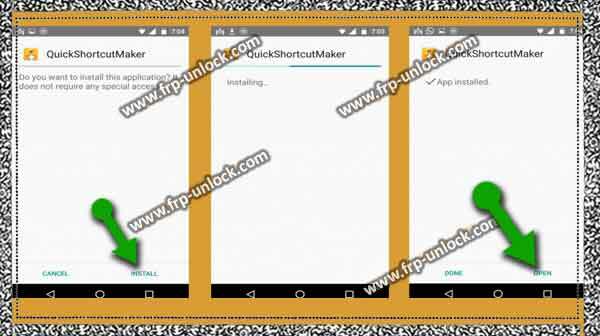 Step: Second, download “Quick Shortcut Maker” in your successful BypassFRP Alcatel Murti 3. You kNow after downloading the finish you’ll have a Pop-up at the bottom of your screen that tap on “open” Pop-up, you’ll be taken to the “folder” where you’ll be able in your downloaded application. Step: Tap “Install Google Account Manager, tap”, then tap “Done”. Step: Tap on “Quick Shortcut Maker“, tap “Install”, then tap “Open”. Step: Type in the search bar for Google Account Manager, tap on it to expand it, then select one of the Google Account Manager, with “Type an account email and password”. Step: After that tap, after “Browser sign-in”, tap “3 Points/Dots” in the top right corner. Step: Add your legitimate Gmail account. Step: Restart your Alcatel Idol 3 device. Note: In case “3 dots” is missing in the top right corner, then click here to fetch “3 dots”. After restarting the Finnish, you’ve to complete your initial setup by liking the “Skip, later, any thanks” option. 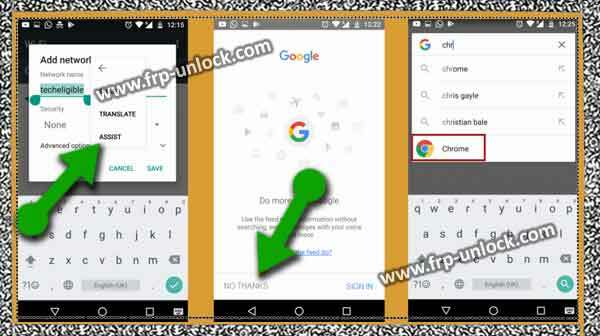 Step: After completing the initial setup, you’ll have access to all the options in your Alcatel Murti 3 device, Now, you’ve to add a Gmail account again. Step: Tap “Settings,“, then tap “Accounts” and then add your Gmail account. Connect to Wi-Fi Connect, tap “Add Network”, type some text there, tap your typed text, then tap “assis”. Search in Google (disable BypassFRPApplications and files). ↗ Download (Google ACC Manager and Quick Shortcut Maker), Install them, and open Quick Shortcut Maker. Tap “TRY”, then after “Browser sign-in” tap “3 Points/Dots from the top right corner”, Now, add your new Gmail account. Please restart your Alcatel device, finish “Initial Setup”, go to Settings,, Account, Add Account there.